So how was your season? Maybe you skied more days than last year, or maybe not. Did you try a new resort this year, or just stick close to home? Did you buy a season pass or get day ticket? Ski areas are also asking themselves these same questions as they wrap up their season and tally statistics from the winter. So how was your season? Maybe you skied more days than last year, or maybe not. Did you try a new resort this year, or just stick close to home? Did you buy a season pass or get day ticket? Did you bring a friend to try snowboarding or skiing? Ski areas are also asking themselves these same questions (or variations on these questions) as they wrap up their season and tally statistics from the winter. Some operational metrics that ski areas pay close attention to include skier visits, season passes sold, beginner lessons taught, and, of course, weather and snowfall. Let's find out how the season went during the 2014/15 winter. Many state associations and the National Ski Area Association tally snowsports visits, or one person skiing/snowboarding one day (or night). Total snowsports visits is an important indicator of the overall volume of people participating and the total business levels of a ski area - when more people visit to ski and ride, more hamburgers and beers get sold, more lessons get taught, and more tall tees and beanies leave the retail store racks. According to National Ski Areas Association, the total number of snowsports visits in the US for the 2014/15 season was 53.6 million--more than three times as many as the number of people who attended NFL games in 2014. This winter was 5% behind the season prior, which recorded 56.5 million snowsports visits, but up 5% from the record low season of 51 million in 2011-12. Despite the drop in visits, it is encouraging that season pass sales were up an average of 6%. Ski areas have become increasingly creative with season passes and other multi-day products like the Mountain Collective, giving skiers and riders more flexibility and greater value than ever before. Let's dig a little deeper into the various regions of the country to find out more about what happened this winter. Abnormally low snowfalls, warm temperatures, and generally very challenging conditions persisted in the Pacific Northwest and Pacific Southwest. As a result, visits declined 36% and 6% respectively. Pretty much a bummer of a season no matter how you slice it. 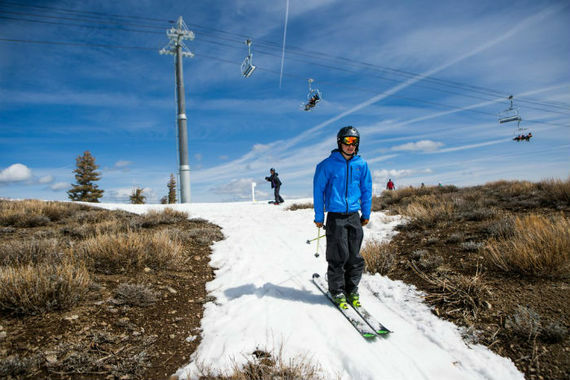 Not to be deterred, several ski areas are optimistic in offering season passes for the 2015/16 season that guarantee a certain number of days of operation or days you'll use your pass, like China Peak, Mt. Hood Meadows, and Squaw/Alpine. The Rocky Mountain region experienced a slight decline in visits in 2014/15, though off a very strong 2013/14 winter. NSAA estimates that visits dipped by 2 percent in this region, as inconsistent snowfall during the season made it difficult for momentum to develop. Utah reported a 5% drop in visits, down to 3.95 million, largely due to poor snow conditions--some ski areas realized less than half their normal snowfall. However, in Southern Colorado, Crested Butte, Telluride, and Purgatory all reported very strong winter seasons. Telluride reported a record number of snowsports visits at 478,000, while Big Sky in Montana also had a stellar winter, with their busiest season ever at 440,000 visits. In the Midwest region, ski areas reported cold temperatures during much of the winter, and generally below average snowfall. While the season started early in the Midwest, the weather never really seemed to fully cooperate. Several ski areas in the Midwest had to close for extreme cold temperatures and windchill factors in January. The cold and lack of snow took its toll on visits, which were down 9% from a year ago. Not to be deterred, however, Midwestern skiers have been buying more season passes for the 2015/16 season at Peak Resorts, and they can also look forward to a new cat-skiing operation in Michigan's Upper Peninsula called VooDoo Mountain, which will open in December 2015. Early season warmth and rain prevented many mid-Atlantic ski areas from opening until December. But the heart of the winter season - January into early March - was strong in West Virginia and in North Carolina. Cold temperatures during that period allowed for snowmaking, which offset the lack of cooperation from Mother Nature on the snow front. Appalachian Ski Area in the Tar Heel State had one of their longest seasons on record, opening for a bonus weekend over Easter. This region was about even with last winter in terms of snowsports visits, down only 1%. Given all the snow and cold this winter in New England, you'd think ski areas would have been swarmed with customers. Turns out, you can have too much of a good thing. All the snow and record-setting cold temperatures kept some people away from skiing - maybe they were digging out their driveway in Boston and protecting that parking spot instead of making turns in New Hampshire. Ill-timed cold snaps during February also caused people to stay home and sip hot chocolate in the comfort of their homes. 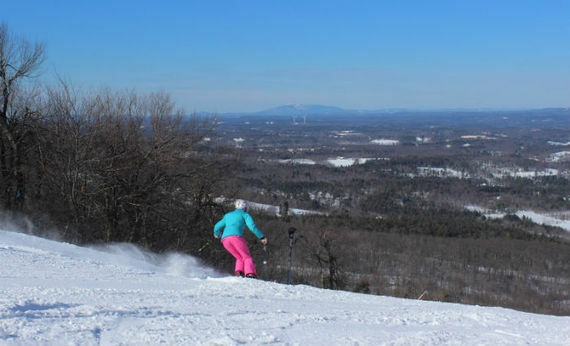 Wachusett ski area outside Boston lamented all the great snow going to waste, but they were able to capitalize on it by the end of the winter by opening in May for the first time ever. 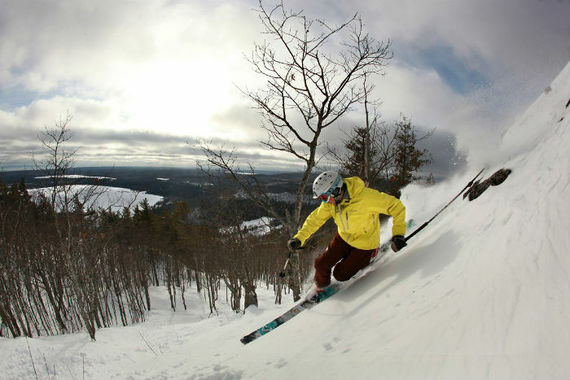 At the end of the winter, though, the Northeast region was off only 1% in visits--Vermont had a particularly strong year, with a record-setting 4.7 million visits to ski areas in the Green Mountain state this winter. Here's to hoping you made some good memories on the hill this winter and, unless you're skiing in the Southern Hemisphere this summer, to more great snow sliding adventures in the winter to come!